In this guide we will teach you about Forex trading patterns, including uptrends, downtrends and Flat lines. When you practice Forex trading technical analysis you need to be able to read charts of currency prices. In order to predict how the currency will behave, whether it will drop or rise, you need to be able to analyze the Forex trading patterns. An uptrend is a Forex trading pattern that appears as a rise in the direction of the foreign currency price. The sooner you recognize an uptrend, the better you can predict the currency direction, and the more profits you can make. You can also recognize when an uptrend is going to end and be reversed into a downtrend. 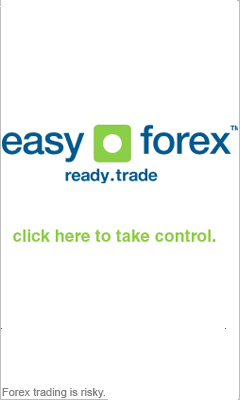 In the Forex online trading market there are strong uptrends that last longer, and which you should count more on. One of the best Forex trading strategies is to invest in a certain uptrend, until the currency starts showing some real losses. This means the currency probably reached its peak and is about the go into a reversal downtrend pattern. A Forex trading downtrend is seen when the currency follows a downward direction. The previous explanation on the uptrend can also be implemented for downtrends, as all Forex trading trends act similarly. These are Forex trading patterns that occur in between uptrends and downtrends, and point to an equilibrium in supply and demand. Sideway trends follow a horizontal direction, where the price stays relatively constant. Forex trading patterns are also used in order to set support and resistance levels, which are very useful for technical analysis of charts.